The Tipsy Baker: Remember SnackWells? Dry baked potatoes? Rice cakes? Remember SnackWells? Dry baked potatoes? Rice cakes? I’ve never worked with a more buttery cookbook than Gabrielle Hamilton's Prune. Everything swims in butter, but especially the vegetables. This raises some interesting questions. Most of us can agree that it is healthy to eat vegetables but not so healthy to eat huge amounts of butter. But what if butter helps you to eat more vegetables? (And what constitutes a "huge" amount of butter, anyway?) What if butter makes vegetables so tasty that your son who goes weeks without consuming a plant actually eats a (buttery) tomato and says, “This is really good?” What if a mountain of butter contributed to a pumpkin dish so indescribably salty/sweet/nutty/butterscotchy and delicious, that you drove home to reheat leftovers today rather than getting a frozen custard for lunch? Obviously, I'm talking about actual Prune dishes. Beefsteak tomatoes with warm French butter: Peeled, sliced, juicy tomatoes topped with sizzling salted butter. Not so appetizing when the butter eventually congealed all over the cold tomatoes, but so damned good when first brought to the table. Pumpkin in ginger beer with nutritional yeast: You slice pumpkin (I used red kuri squash) in wedges and pour over some ginger beer, sprinkle with nutritional yeast,* top with gobs of butter, and roast. How much butter? A third of a pound for a recipe that serves six. Does that seem like a huge amount of butter to you? More than a stick? It seems like a huge amount to me. That’s just under two tablespoons per person. So many calories. But then is that really so bad if it gets you to eat the pumpkin? And then after you eat the pumpkin (and the buttered beefsteak tomatoes and small pork chop) you are completely contented and full and don’t have any urge at all to see if there are Eskimo Pies in the freezer? Ok, I guess I do have an answer. I think there’s too much butter on Prune's vegetables for everyday eating, but there’s probably too little butter on a lot of other vegetables. Habits of the fat-phobic1980s die hard. *Gabrielle Hamilton uses the terms “nutritional yeast” and “brewers yeast” interchangeably, but I have read they’re not the same thing. I used nutritional yeast. We've really been into rice cakes around here lately. They're a good late afternoon snack, especially if well salted. So I just made the same dinner you made awhile ago from Prune---the pork chops and the roasted cauliflower. I loved the fried capers and breadcrumbs but oddly enough I really enjoyed the chops more! Though I agree---not something I'd want or even order at a restaurant. But it was good and easy enough that it could be the go-to pork chop recipe around here (also: Matt made it). Doesn't she tell you to smear butter all over the pork chops? I am a joyless food crank and I approve the use of nutritional yeast in this message. You like? I think it did magic for that squash. I am at this moment waiting for my old standby: Tuscan kale, sprinkled with nutritional yeast, olive oil, and paprika, to come out of the oven. I eat nutritional yeast by the bagful. There's a lot to be said for the satisfying qualities of real fat. This is one of Nina Planck's arguments in "Real Food." Having said that, while those recipes sound amazing (kuri squash with ginger beer and nutritional yeast? sweet and savory and umami? yes please! ), if I made them I'd probably cut the butter way back, just because I find that I can actually have too much fat in a dish. I have been feeling a bit sick today, after last night's animal fat extravaganza. I love the return of fat, though. The '80s were so hard. @Hilary: Tipsy and I are talking about our formative adolescent years here. The 80s are as but an eye blink away for us. I guess that this answers the question of why I always gain a couple of pounds when I eat out. (Which of course come off in the next few days.) Professional chefs know that butter makes everything taste better. I think what you're seeing on the scale is water retention from all of the salt in the food, not calories from fat. You'd have to eat thousands of extra calories to gain two pounds. Weight gain and loss is mysterious to me. I do feel like I get fatter the more I eat out because of the portion sizes. Just wait until you try the brown butter vinaigrette. What is essentially 100% butter turns into something you will be dreaming of, searching for anything - nay, everything - to dip into it, just to see if it still tastes as mindblowingly delicious as it did on your finger. Don't try it if you value your arteries. Shoot, that wasn't even on my "to-try" list, but now it has to be. Will I ever dig out of my Prune pit? The American Heart Association led us down a not-so-merry path when they vilified butter. Butter is not particularly bad for you, unless you eat very large quantities on a routine basis, and very large quantities of anything is bad for you. I eat a LOT of butter and olive oil, and I am relatively thin. I find, just as research has borne out, that the satiety factor of good fats does indeed help keep me on the straight path of eating my vegetables and eating less sugar, which unfortunately is totally empty calories. (I love sugar; it is a struggle for me.) A lot of that butter drips off and ends up on the plate rather than in my mouth, but I like my veggies buttered well. The butter also helps you absorb the fat-soluble vitamins, so it is beneficial as well as delicious. I believe it is just like the organic/not organic debate. In the end it is better to eat your vegetables, even well buttered, than to aim and fail for the perfection of the ideal diet. Both of these Prune recipes sound divine! My life was changed when I read Why We Get Fat by Gary Taubes. Oh, those SnackWells were horrible! And they were promoted by BAD science. Hope I didn't sound too preachy, but this is "pet" subject for me. It's so sad that I used to eat big handfuls of Jolly Ranchers because they were fat-free and therefore supposedly healthier than something like a lamb chop, or a peanut butter sandwich. Crazy times. My maternal grandparents . . . how I pity them. My granddad had arteriosclerosis, and they spent decades eating oleo and Butter Buds and NoSalt and I don't even KNOW what sort of hideous crap, to promote his health. And now we are told that saturated fats are not really the problem, and trans fats are kinda lousy, and hell, they were in Oklahoma where there was hardly any good produce anyhow, except for some tomatoes and corn in July, and it just breaks my heart, it really does. They both lived well past 80 (in her case, 90). I wouldn't overthink the damn Prune cookbook. It's not as if you're never eating gazpacho again. Wait, overthinking cookbooks is my hobby! What would I do with my free time if I didn't? I love nutritional debates! That said, as pointed out in the comment above, you have to consume 3,500 C above and beyond what your body utilizes to gain one pound. 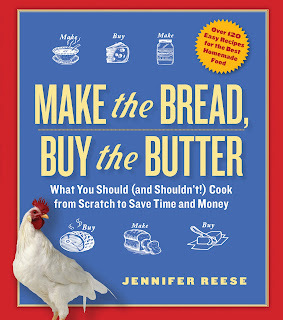 There are 100 C per T in fats, so to gain one pound you would have to eat almost 4 sticks of butter to gain a pound. BUT as anyone who has ever eaten just one stick of butter at a single meal will tell you, and I do speak from experience, it was college and a dare, you will not want to do that ever again, and not to be too gross about it, but I suspect a lot of that butter was not absorbed by my body as it made a quick exit. I was so full for almost 24 hours that I probably ate less than 200 C. So, in my professional opinion, stick to butter, and try not to exceed 2,000 C a day, depending on your weight/height/ age. And feel the fullness that results in having a diet that includes fat. You know my views on this! I've always had a sneaking suspicion that butter and pork fat would prove to be good for us. And as Beckster mentioned, it's starting to come out that maybe we've been misled about fat over the years. Butter for the win! I put nutritional yeast on everything... Even surprisingly on cat food... For the cat! Just to make that clear.. It's the first thing the cat licks clean. And her coat is so shinny. And have you tried it on popcorn.... With tons of butter. The g'kids won't eat popcorn without it. After reading this post I made the pumpkin recipe using Kabocha squash because that's what was available. I didn't weigh the squash so I don't know if the proportions were exactly right but it was delicious!! After cubing only a quarter pound of butter (rather than a third) I honestly could not even find space on the squash slices for that amount, so I ended up using slight less than a quarter point. I found myself scraping/scooping the melted butter sauce from the pan. It blackened a little in the corners with the ginger beer and nutritional yeast and had the most enchanting nutty, buttery, caramelized, yeasty taste. I would have licked the pan but I forced myself to stop by putting soapy water in it. But wow, YUM!! !